Walking into a music store for me is like walking into a small slice of heaven. It’s like I can feel a bit of drool dripping off my bottom lip as I salivate thinking about owning all the exquisite instruments hung up on the walls. I’m sure most piano players can relate to these sentiments. However, as much as I would like to own all of the high-end Rolands, Yamahas, and Korgs at the same time, the truth is my pockets just aren’t that deep. So when I’m done drooling over all the latest models, reality sets in and I realize I have to create some kind of budget to stay under, even though sticking to it may be hard. 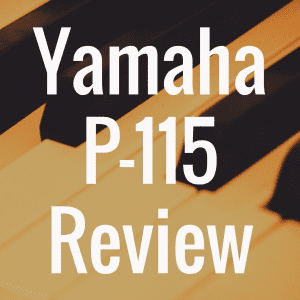 In the world of digital pianos this is especially important, as many times you may learn through a bit of searching that a lower priced piano has all the features of many higher priced models, just none of the fanfare. The Williams Allegro 88-key digital piano falls exactly into this category. The truth is, the first time I saw this piano I had no idea who Williams Pianos was, or any familiarity with their products. Honestly, even on their website it’s hard to find out much about the company’s history or how they came about. 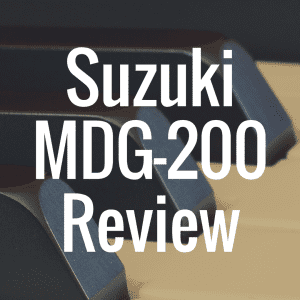 It doesn’t take away from the fact the Allegro is a decent piece of machinery, and it’s a competent choice for the entry-level, frugally minded piano player. Below, please enjoy the interactive guide that was created to make your piano purchase easier. 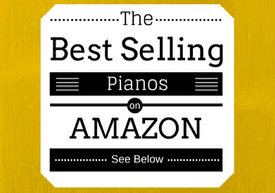 Compare the affordable Williams Allegro to the best pianos in its class based on weight, price, and even customer reviews from Amazon.com. This digital piano provides the basics of the basics. It comes in one color, black, and the look of its overall design leaves much to be desired, other than its infused ‘W’ and ‘M’ logo, which I thought was pretty cool. It surely doesn’t come with a fancy stand, and the sustain pedal is known to become faulty a bit too quickly. The speakers are small and don’t give that great of a sound, but they get the job done. However, I was pleasantly surprised at the general feel of the Allegro’s key bed. 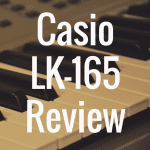 The keys are by no means ‘graded’, like many digital pianos, where the feel of a real piano is replicated with heavier bass keys and lighter treble keys. But the keys are weighted, and they have a bit of a realistic feel to them. Certainly there are better digital pianos that have an almost identical acoustic piano feel, but for the price, this Williams Allegro does have good hammer-action for its key bed. 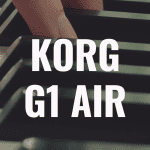 However, like the sustain pedal the keys seem to have a bit of a durability issue, and after some time they can start to stick and lose their effectiveness. I noticed in reviewing the Allegro that there were constant complaints about the inconsistency of key velocity. Many users were saying that when pressing certain keys with the same intensity, the Williams Allegro would play the notes at varying velocities. I tried this out with the Allegro and found this to be true. Williams Pianos representatives have stated that they are aware of the issue, and have issued some type of firmware fix. For me this is a pretty serious problem, and if it continues, I suggest looking into the Casio CDP-120, which has a similar price range. The piano has 64-note polyphony, which again for its price is pretty impressive. Some pricier models don’t even have 60, or even 40 notes of polyphony. You shouldn’t be expecting to dazzle a crowd with a great variety of instrument-themed performances, as the Allegro only comes with a basic 8 tones. There are two pianos, two electric pianos, a church and jazz organ, strings, and an upright bass sound. For the most part, all of these sounds are decent, but the main grand piano sounded a bit off to me. Again, I don’t want to be too harsh, as I’ve spent most of my time with high-end Yamahas, Korgs, and Privias, but for one of the only portable digital pianos on their line, I thought they could do a little bit better. Many of my colleagues agree, a number of them not holding back and downright trashing the machine. A friend of mine was so shocked by the tonality of the notes that he returned it, thinking it was malfunctioning. However, to his surprise the same exact machine was returned. In other words, don’t buy this machine if you’re expecting a captivating piano-sampled sound. The Allegro has a nice demo song collection, with a song corresponding to each voice tone, but there isn’t much internal memory or data capability. There’s only a two-track recorder and playback function if you want to compose songs or practice compositions, and without a USB or some type of media connection there’s no way to transport these songs to a local computer. 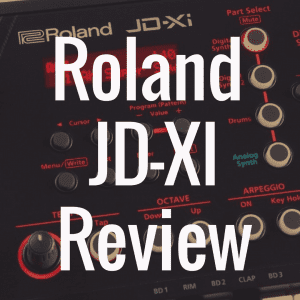 It does, however have MIDI input and output connections, so using the piano you’ll be able to connect to another MIDI device or external source and control up to 16 different MIDI channels. The Allegro has a convenient transpose function, which allows beginner or intermediate piano players to play music in different keys without changing the chords or hand placements. It also has a Layer function, which will take any two of the 8 tones and play them simultaneously. I thought the grand piano tone and the strings made a great combination. It also had a split mode, which breaks the keyboard into two different voice sections. I had a fun time using a bass voice with my left hand and the piano with my right to play a sweet jazz lick. The reverb and chorus effects aren’t shabby either. Most digital pianos come with more effects, but for the beginner or practice pianist you shouldn’t need too much weaponry. The price is one of the last things you’ll have to worry about with this piano. In fact, it is one of the main reasons people are drawn to it. This machine is a clear bargain, but I don’t want to go so far as calling it cheap, because it may suit all of your needs. And best of all, you can find the Williams Allegro for a very affordable $299. 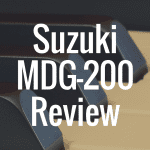 For more on digital pianos, check out more of our helpful reviews.